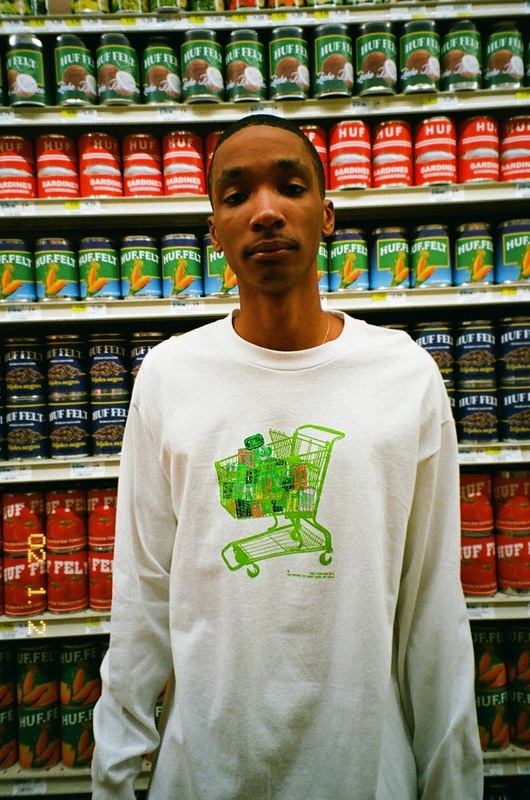 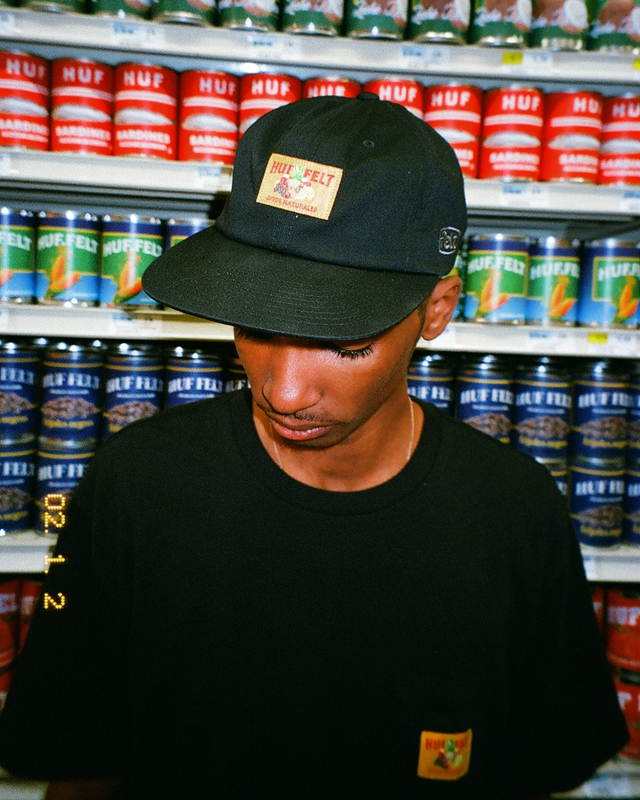 Lifestyle skate brand HUF teams up with New York City-based streetwear brand FELT (‘For Every Living Thing’) for a collaborative collection celebrating NYC’s renowned neighborhood staple, the corner bodega. 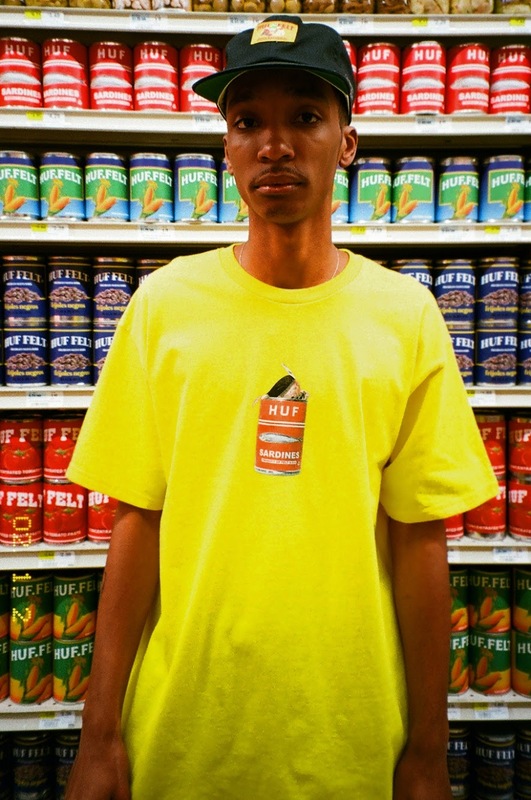 Taking cues from bright mini-market storefronts and sundries, the HUF x FELT capsule integrates an eclectic color palette and lo-fi, tongue-in-cheek graphics to evoke the nostalgic 90s vibes at the heart of FELT’s aesthetic. 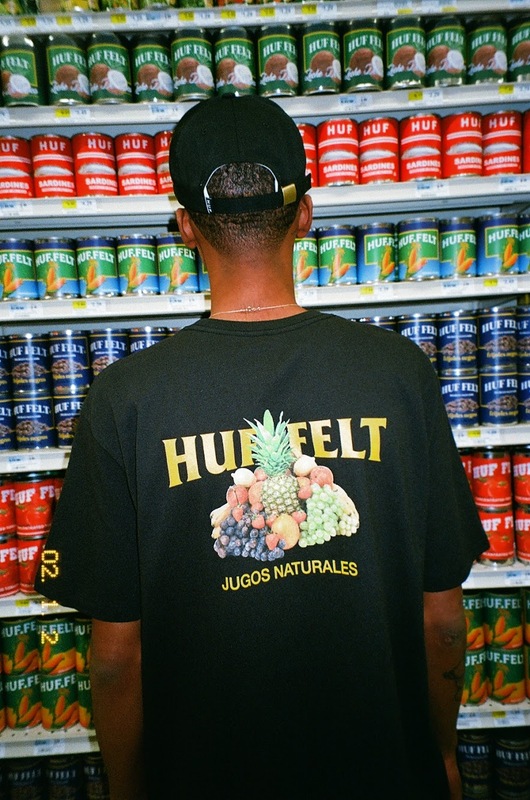 Non-perishables, fresh produce, witty slogans, and cartoon characters are given the HUF DBC-twist across outerwear, fleece, tees, hats, beanies, socks, a skate deck, and stickers. 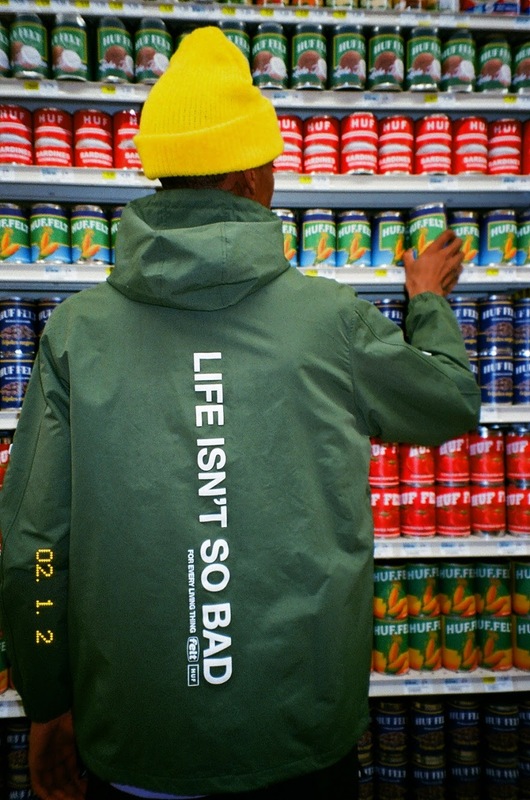 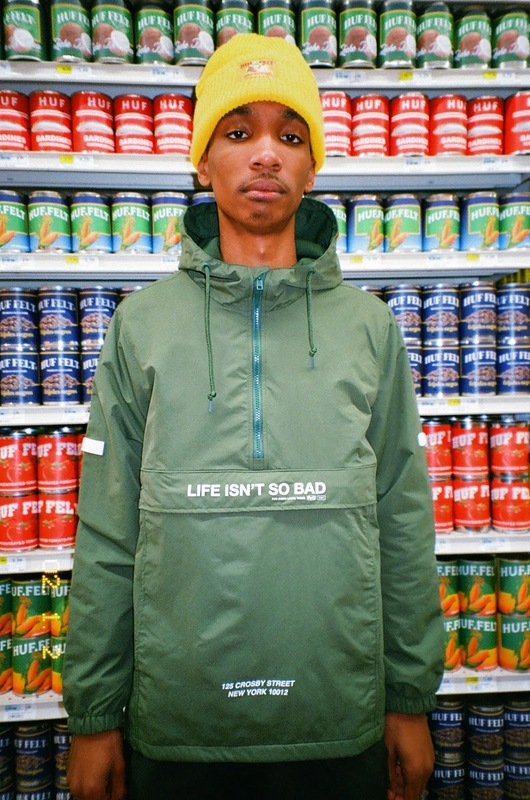 Highlights include a retro “Life Isn’t So Bad” anorak jacket, a longsleeve tee featuring a pop art-inspired HUF-green shopping cart filled with bodega canned goods, and a jarred pickles board. 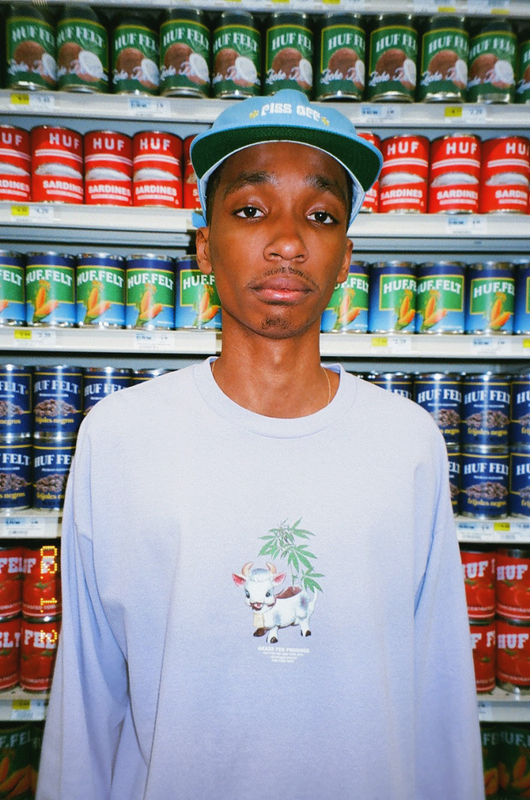 The collection is now available in limited quantities exclusively through HUF’s flagship stores and online shop. 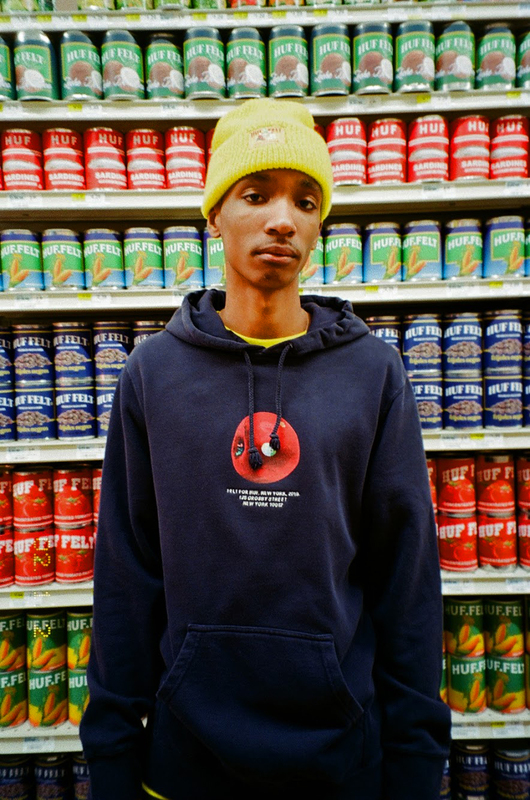 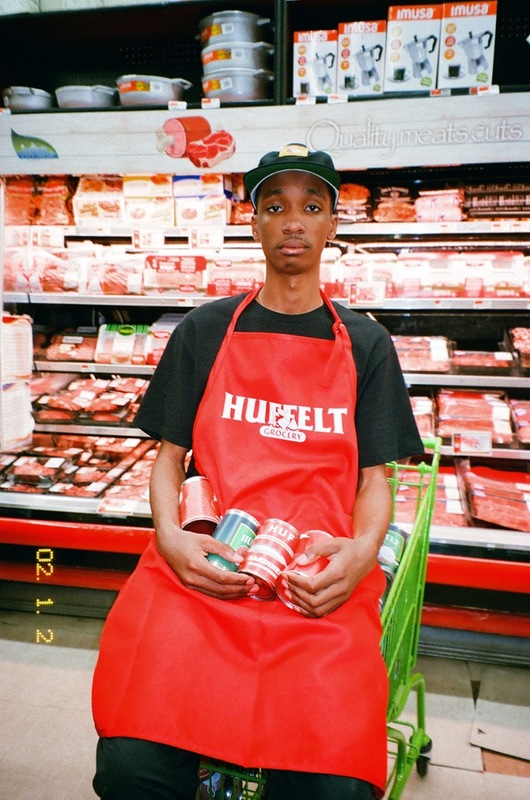 Peep the bodega inspired lookbook below.